All Scaffolding Earns First Place! 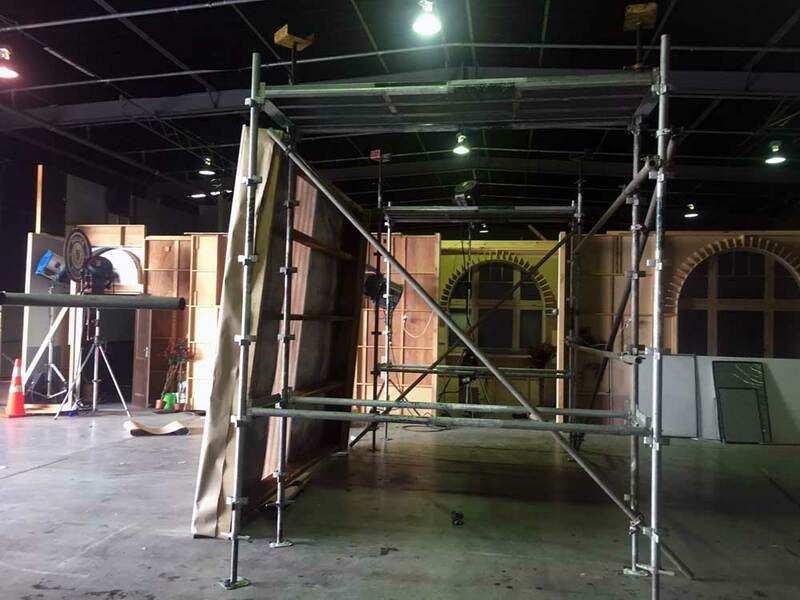 Recently we have been back on the film set of The Brokenwood Mysteries where we are creating back drops and supporting towers and rigging, using tube and clip scaffold. The Brokenwood Mysteries is set in a seemingly quiet country town where the town’s newest resident, Mike Shepherd, finds that murder lurks in even the most homely location. Neill Rea (Scarfies, Legend of the Seeker, Go Girls) stars in the lead role of Detective Senior Sergeant Mike Shepherd while Fern Sutherland (The Almighty Johnsons) plays Detective Constable Kristin Sims. 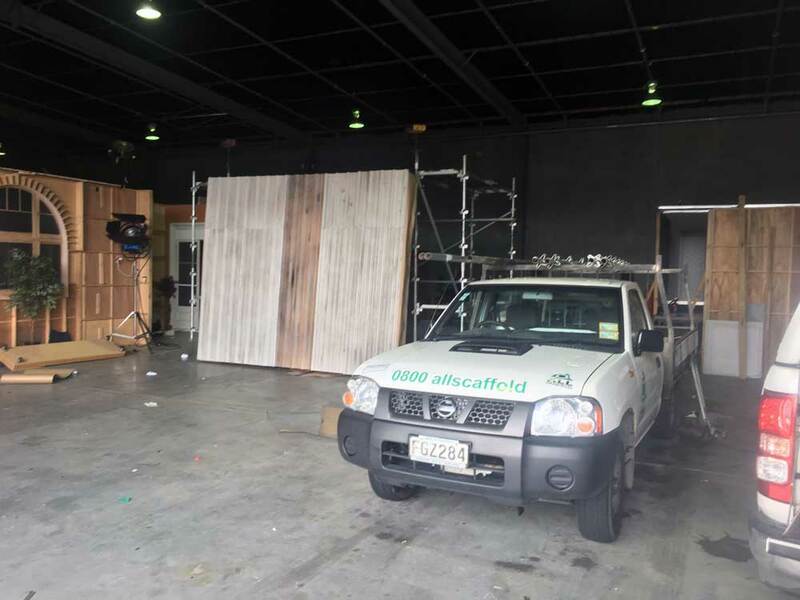 The guys are having an evenful day which started at 6.00am at the Viaduct Harbour this morning working on a Sanfords Fishing vessel. The access mast scaffolding was erected but on completion the guys were stuck in the Downtown protesters march which has cordoned off all access in and out of the Viaduct. 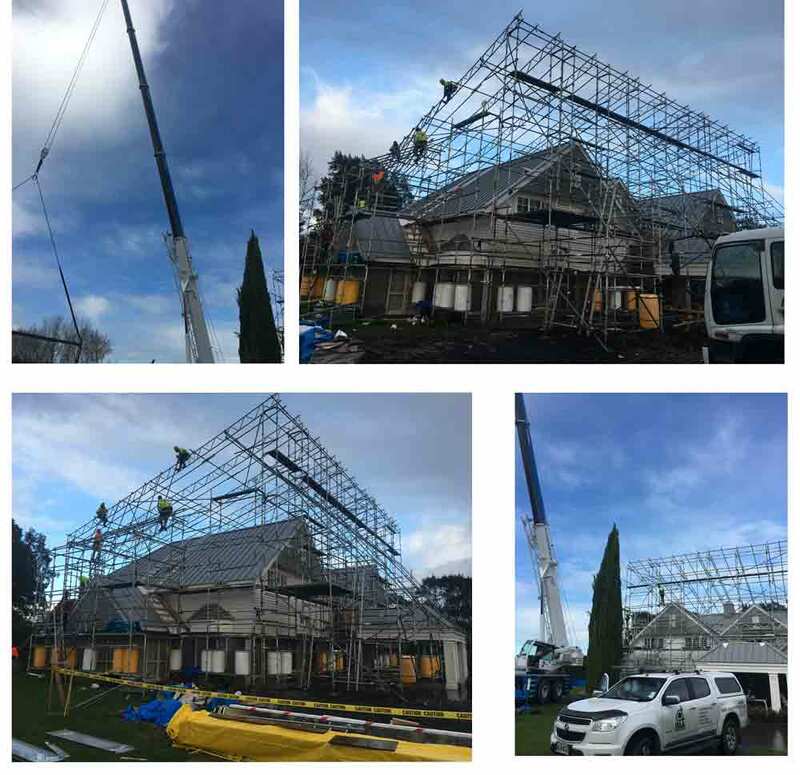 When the 1st section was taken off we had 3 scaffolders ready to dismantle and load onto the truck in readiness for the 2nd and then finally the 3rd and last section The whole process only took 8 hrs with 6 men and the main contractor was very happy due to his expectation of nearly 2 days, a saving on crane hire and time saving on the project.